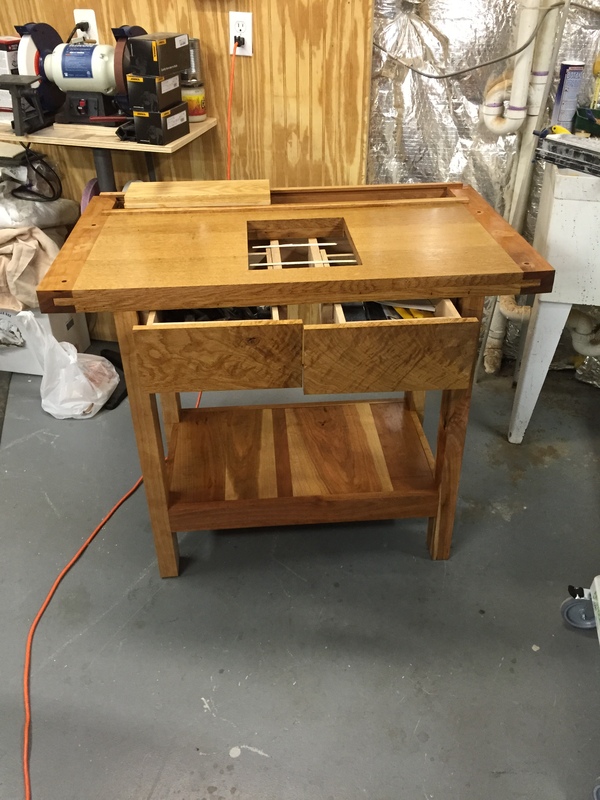 I had built the primary parts of the sharpening station with white oak due to it’s natural resistance to water and such, and then used cherry for the frame and bottom shelf parts. But it turns out that I spray water more than I should, so I did go back and add two finishing changes. The edges were (finanlly) relaxed by knocking the edges over with a quick planing. And I used some waterlox (two coats) to the wood to ensure that water would not be absorbed in any of the exposed end grains that were exposed! 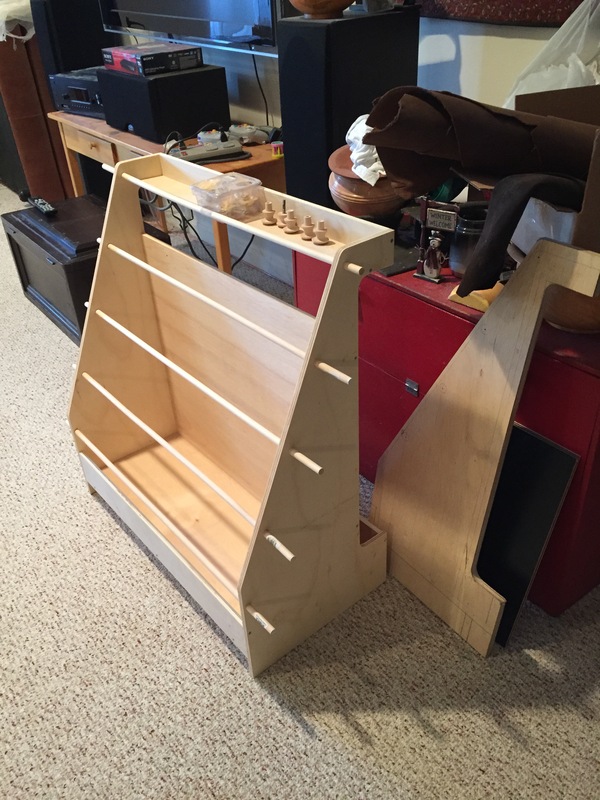 The bookshelf for the kindergarteners was assembled for my wife and daughter to size and sew the canvas shelf material. A template was created to trim the sides to shape. The drill holes in the template were used to align the larger holes that were used to fill with 1/2″ rods that will support the shelf fabric. Once we’re set, the rods will be trimmed flush to the sides and the drawer knobs will be screwed into both ends to hold the bars in place. (Well, they are kindergartners after all!) At that point, this unit will be finished with chalk paint. and that’s when I expect to get a request to either change design – or deliver more. 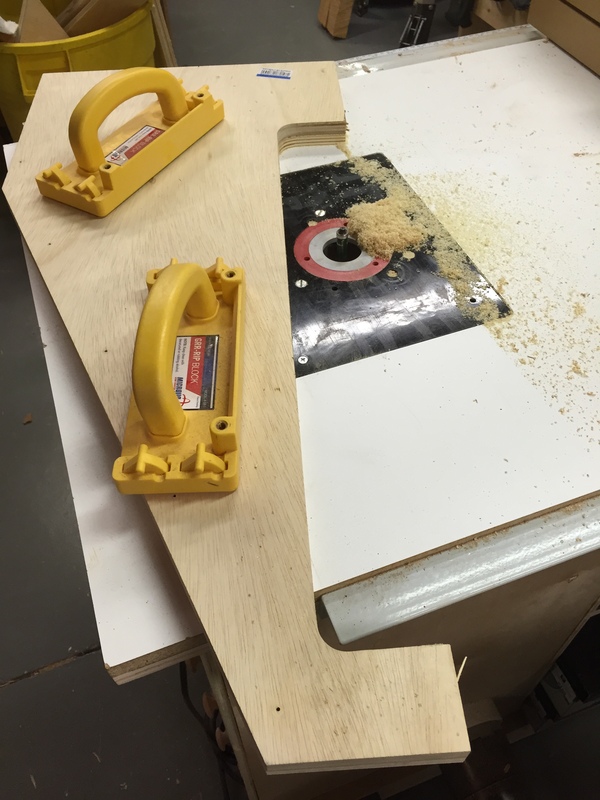 This entry was posted in Shop stuff on August 27, 2015 by bkbiggs.